Green is the colour of nature, life, and energy. Want to feel closer to nature? Opt for one of these green coloured bedsheets to make your bedroom look fresh and airy. If you have always loved the idea of a soft and soothing atmosphere in your room, you can choose from our range of plain coloured bedsheets. 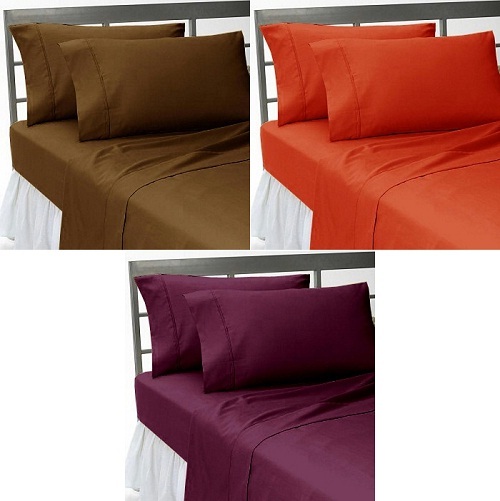 Our plain bed sheets are ideal for those who have viewed bed-sheet as a commodity that covers the bed and not something that enhances the decor. You can choose plain bed-sheets to neutralize the look of your otherwise decor rich bedroom. These bed-sheets share one thing in common- the mindblowing 3D designs. These 3D printed bed sheets feature brilliant designs that are both bold and dramatic as compared to an ordinary printed bedsheet. Wish to make your bedroom look amazing? These super awesome 3D bed-sheets will do the trick. These bed sheets are ideal for those who like to stand out of the crowd. If you have a simple bedroom with bare minimal decor pieces or plain white coloured walls, pick one of these bed-sheets. 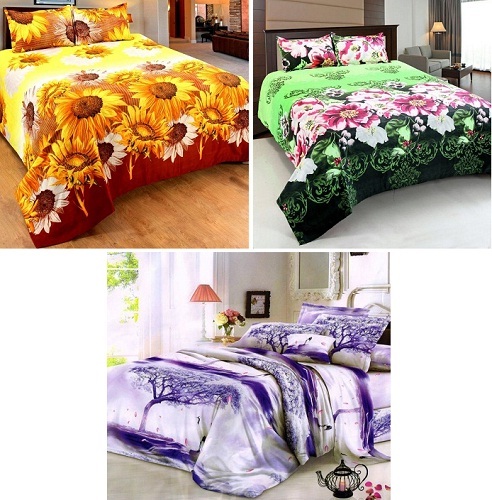 These bed-sheets are sure to instantly change the look of your bedroom. Choose the print you like and let your bed make a bold statement. You can opt for bold colours as it is your bedroom at the end of the day. Like your bedroom to be heat-proof and soothing? These cotton bed-sheets are just for you. The look of these bed sheets brings down the temperature of your room. 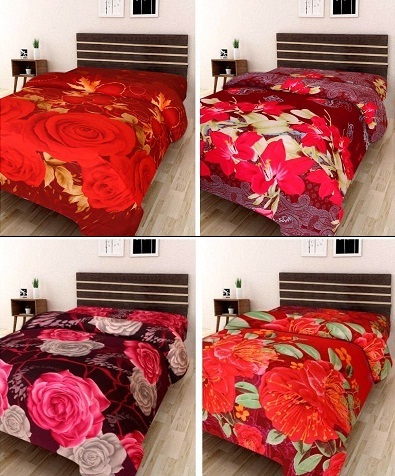 These dual-tone bed-sheets make your room look vibrant and colourful. Pick a colour depending on the other decor pieces of your bedroom.